This rustic urban restaurant and café makes a buttery, shortbread-esque cookie studded with a combination of Guittard semisweet and bittersweet buttons. 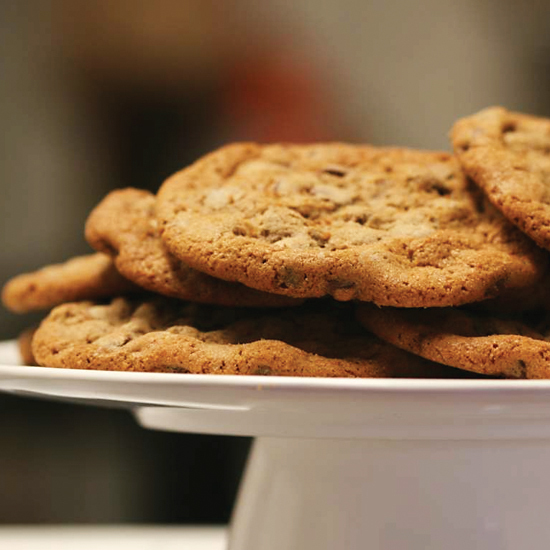 The locally milled unbleached flour is responsible for the cookie’s signature chew, which pastry chef Cary McDowell prefers over crispiness. 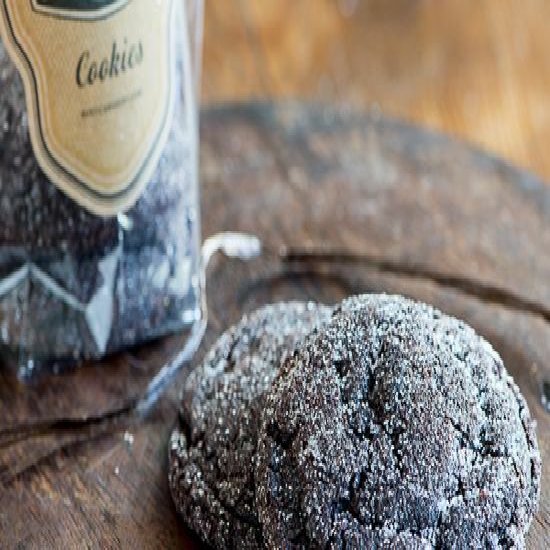 The bittersweet chocolate cookie is the sleeper hit at this Minneapolis bakery known for its European breads. 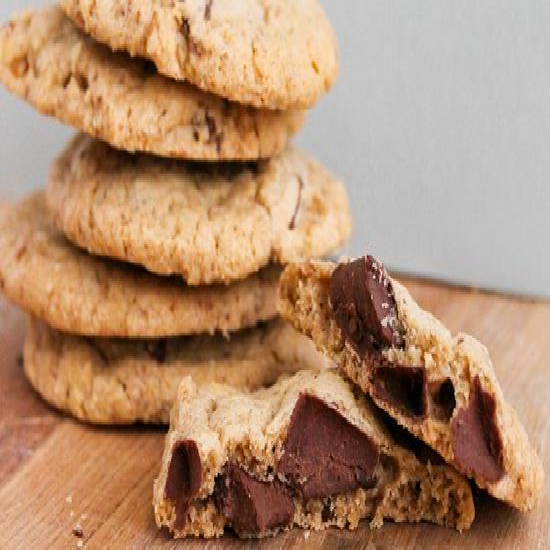 The cookies are deeply colored and richly flavored with bitter cocoa and Callebaut chips, then baked to a pliable texture with a crackly, sugar-dusted top. Each bite is a decadent treat: “Some people claim they can eat more than one, but I don’t know about that,” says co-owner Barbara Shaterian, with a laugh. 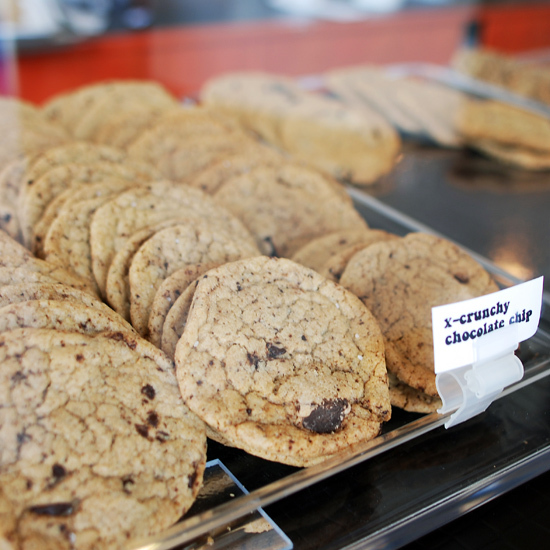 Co-owner Connie McDonald developed the Upper West Side bakery's mountainous semisweet chocolate chip–walnut cookie as a post-Ironman training treat a decade ago: “It felt so good to eat one after a 10-hour bike ride,” says McDonald, with a laugh. Just ignore the implication that you need to have a triathlete’s metabolism to eat the whole thing. The crisp shell gives way to a wonderfully thick, gooey, cakey interior. 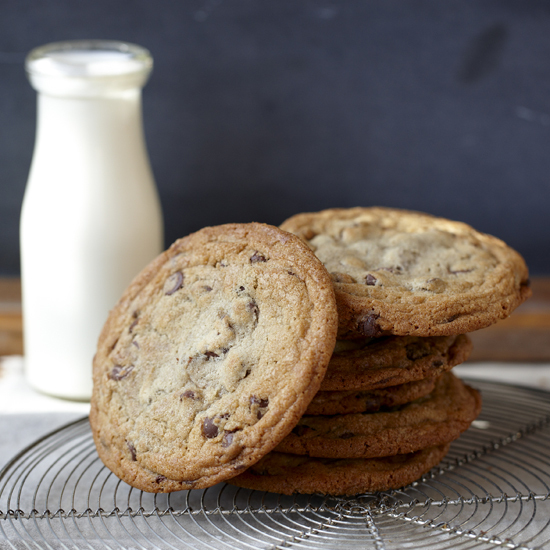 The husband-and-wife dream team of bread genius Chad Robertson and pastry chef Elisabeth Prueitt created a large, flat chocolate chip cookie that follows the expert bakers’ axiom that darker color means better flavor. 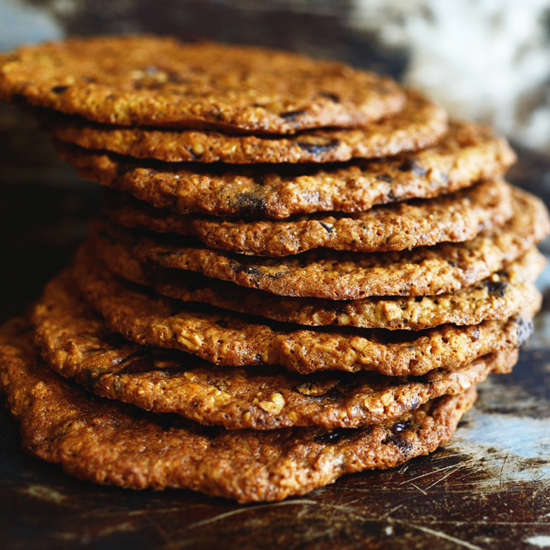 Their cult bakery's cookie—made with oatmeal, walnuts and Valrhona Guanaja chocolate—is baked until it’s beautifully deep brown, with a caramelized butter flavor and a distinct crispiness. The signature Ooey Gooey Chocolate Chip at this cute ice cream parlor and bakeshop is a rich, molten mass of a cookie, made from three types of chocolate (cocoa powder in the cookie base, plus hand-chopped milk chocolate and bittersweet chunks). The ultra-chocolaty concoction runs on the small side, just 3-inches or so across, but each bite packs dense flavor. When this retro-style bakery says it makes everything from scratch, it’s not an exaggeration: The bakers even prepare their own brown sugar by adding fresh molasses to granulated white sugar. 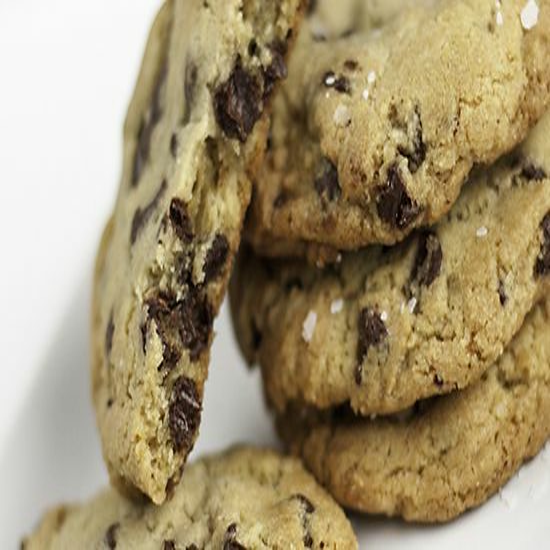 Their cookies—crisp on the edges, soft in the middle, with bittersweet chocolate chips—have a simple, back-to-basics look and taste. 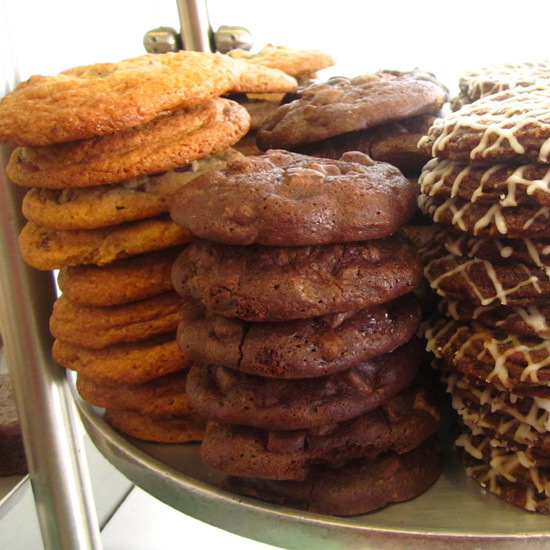 This pretty, tiny hidden gem in Old City has no seats inside—just a sliding takeout window where customers pick up jumbo, extra-thick chocolate-pecan cookies. 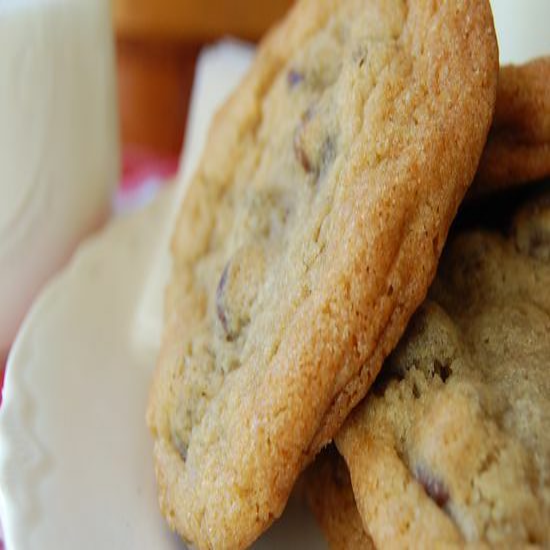 They’re made with high-butterfat butter and Callebaut semisweet chocolate chips, and baked until golden brown for a result that’s crisp-chewy. 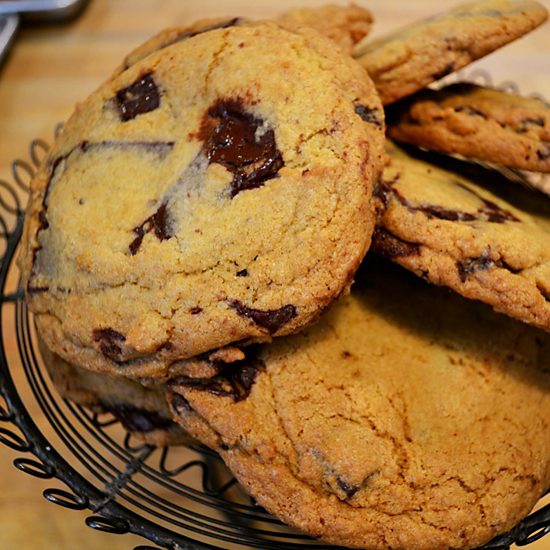 The Funky Chunky Dark Chocolate cookies at this iconic Ann Arbor, Michigan, delicatessen (which also operates Zingerman’s Bakehouse) have a rich, rounded flavor thanks to organic unrefined muscovado sugar from Mauritius. 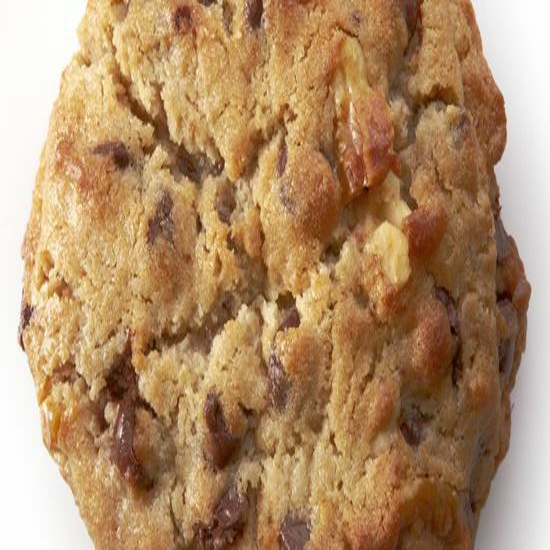 There’s nothing truly funky about these cookies, but the chunky comes from hunks of Callebaut semisweet chocolate and walnuts pieces, both of which contribute to a firm, dense cookie. 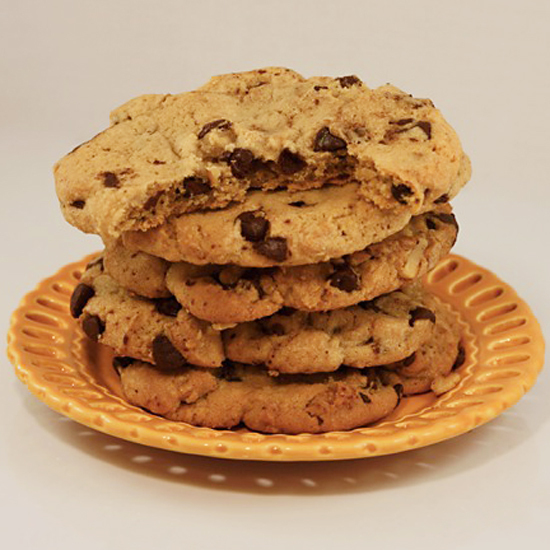 Olivia’s Chocolate Chip Cookies (named for owner Leslie Mackie’s daughter) are a classic Toll House-style cookie (soft and chewy) with semisweet chocolate chips and a sprinkle of gray flour de sel. The dough is made with a combination of butter and shortening to provide a soft, rich crumb, and rests chilled for 24 hours before baking. The process ensures an even bake for every batch, because the moist ingredients like eggs have time to thoroughly penetrate the mixture. At his five New York locations (plus seasonal pop-ups), former Le Cirque pastry chef Jacques Torres puts an expert spin on the American classic, keeping his dough tender and crumbly by mixing cake and bread flours and refrigerating the dough for 24 hours before baking, which allows all of the flavors to meld. 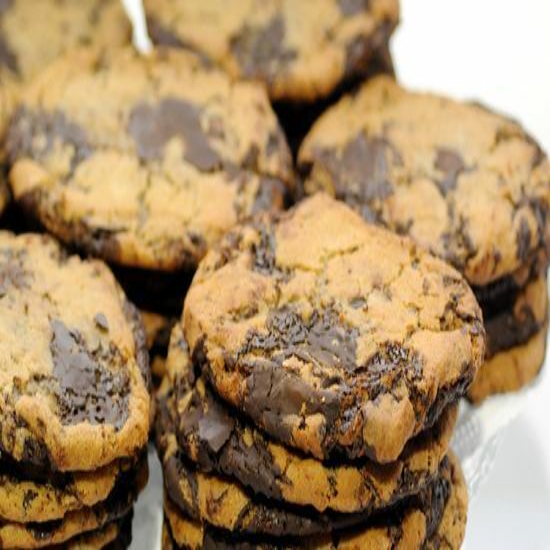 Filled with hefty bittersweet chocolate discs and garnished with sea salt, the oversize result is the platonic ideal of this sort of cookie: golden in color, chewy throughout, and slightly crisp at the edges. Customers line up at 9 a.m. to make sure they’ll get their cookies before they sell out. 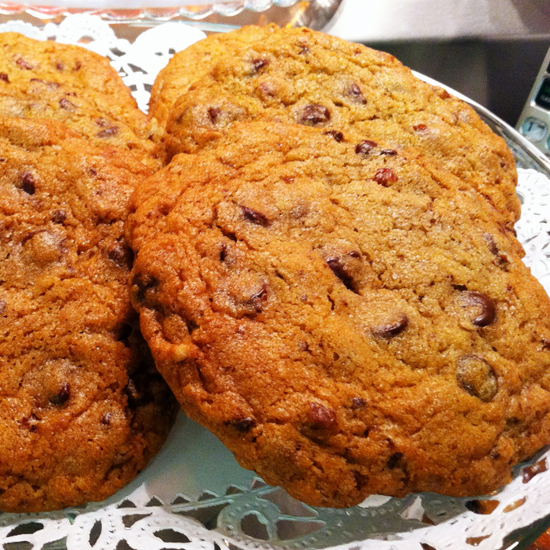 The Pearl Bakery’s thick, chewy chocolate chunk cookies feature a crispy edge and a gooey, pecan-studded middle. The batter is made with locally sourced butter and eggs, Mexican vanilla, a subtle hint of orange zest and Callebaut semisweet chocolate chunks. 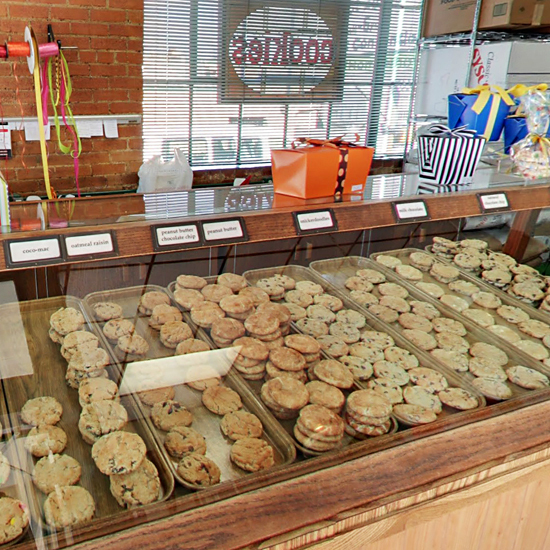 Cookies and muffins have been the focus of this old-school mom-and-pop shop since it opened in 1983. 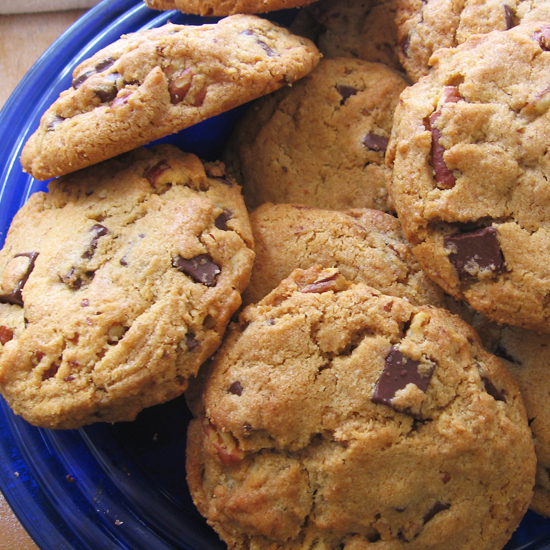 The chocolate chip cookies contain Guittard semisweet chips and bourbon vanilla extract. 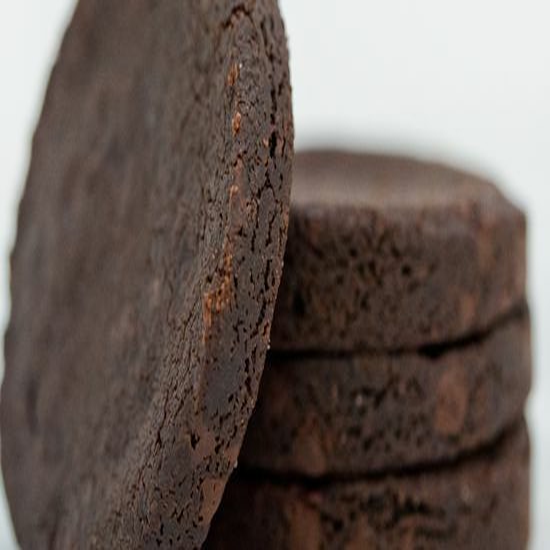 A superb pick for purists, they’re made in small batches and baked into thick discs. 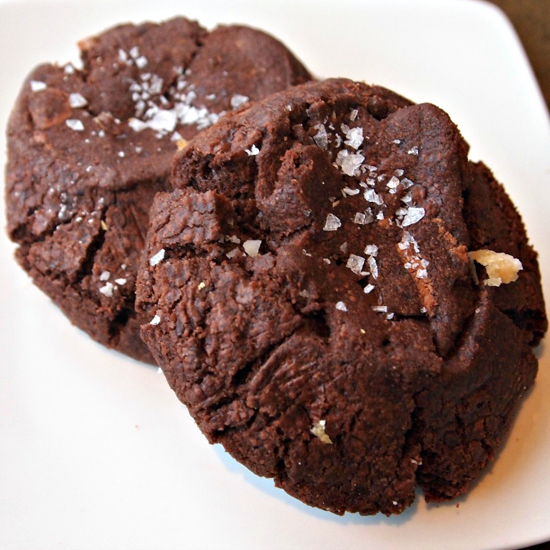 Chef Tory Miller’s locavore gastropub operates as a bakery and breakfast café on weekday mornings, turning out dense Chocolate Sand cookies studded with warm, gooey Cordillera semisweet chips and sprinkled with Maldon sea salt. “The crumb is pretty big—kind of like wet sand, held together by melty chocolate chunks,” says Miller. 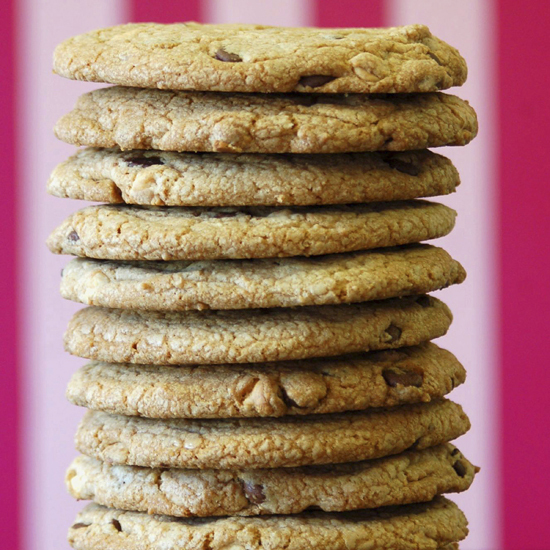 This quaint, ‘50s-style American bakery owned by two New York City expats makes small-batch chocolate chip cookies, chewy inside and crisp on the edges. Ingredients include organic flour, local eggs and Nestlé chocolate morsels. In this upstart that has become one of the Cleveland area’s favorite bakeries, a young husband-and-wife team makes everything from scratch in an open kitchen. 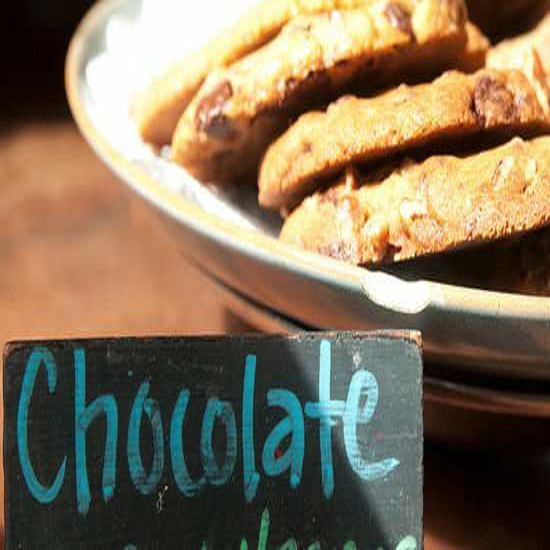 While the specialty is bread (Blackbird supplies nearby restaurants such as the locavore spot Flying Fig), the small selection of sweets is expertly produced, too. 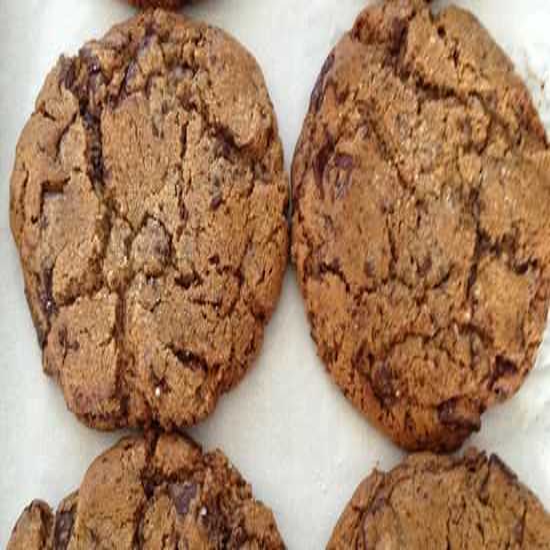 The large, soft semisweet chocolate chip cookies are dusted with sea salt before baking, and come out thick and chewy. 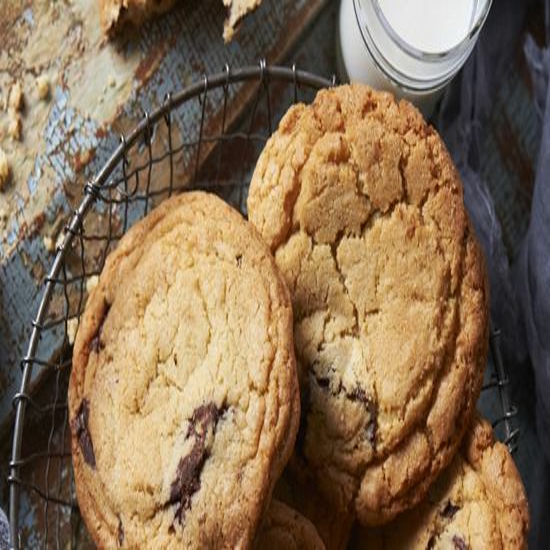 Formerly a head of information systems for a law firm, owner Barbara O’Neill believes that making cookies with perfect texture is a science: She spent eight months perfecting her bakery’s signature Cookie Studio Chocolate Chip cookie. The oversize result is crunchy outside and soft within, crafted from a buttery dough and Guittard semisweet chips. The Studio’s motto is “cookies with a cause,” and a portion of the proceeds goes to the Atlanta Day Shelter for Women and Children.